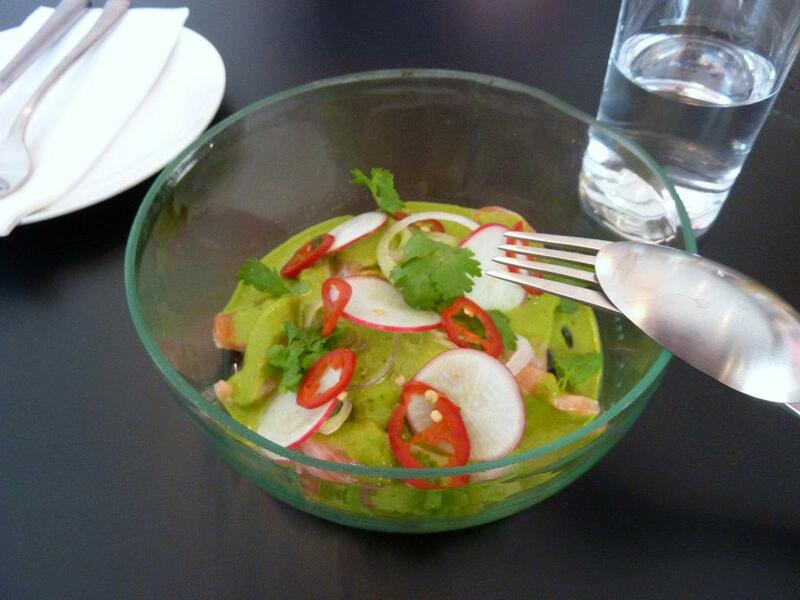 Back in late February I was reading the Fresh section of the West Australian and heard that a new addition to the Beaufort St strip was expected – El Publico (http://au.news.yahoo.com/thewest/lifestyle/a/-/lifestyle/12992400/holy-guacamole-it-s-the-real-deal/). I had sort of forgotten about it, but then I saw it mentioned on facebook the other day, then included in a few tweets so I knew that the doors must have swung open. And indeed they had on the Monday just gone. Taking a quick peak at urbanspoon it appeared that the majority of early punters were fans of the mexican fare so I suggested to GG that we head along to check it out on the weekend. There was not much information on the website as yet, but there was an email address so I shot through a quick note asking if they were open for lunch. I recevied a nice, swift reply that yes it was from 11.30am, so it was locked into our diaries. We arrived just before 12 and there were already a few diners, but it was easy enough for us to find a seat. I liked the layout, not overly snug which was a plus and it was bigger in size than I had expected. The bar held an impressive array of bottles, with tequila clearly the beverage of choice. 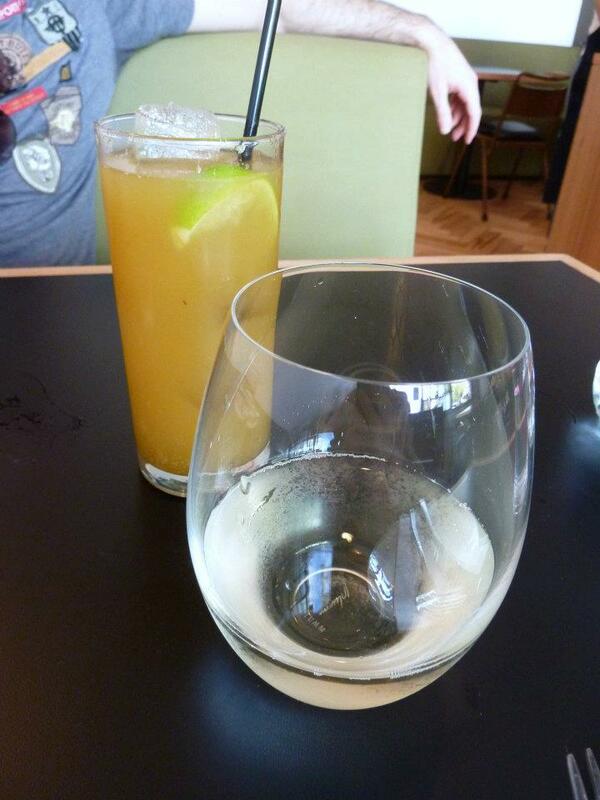 We’d been gymming that morning so a spirit as strong as tequila wasn’t quite what we were chasing on this visit, so I ordered a glass of Xabregas Spencer Vineyard Riesling 2011 from Mt Barker ($9), GG went for an Apple Lemonade ($6). We asked for some guidance on the food front, particularly how many dishes we were likely to need to order. The menu did state “All the food is designed to share and is best eaten as served“….. what I also love is that they stated is that they “don’t allow changes“. Bold perhaps, because there are some fussy folks who would be adverse to this statement, but the team in the kitchen has clearly carefully considered the matching of all the ingredients in each of their dishes and to me it spoke more of their confidence in them, which I liked. So, what to have, what to have? From the Primeros section we ordered the salmon aquachile jalapeno coriander ($17), which with thanks to the dictionary on the back page I knew was going to be a cold dish – a salmon ceviche. The thin slices of salmon were just melt in the mouth amazing and the creamy coriander sauce helped in part to put out the fire in my mouth after I bit into a red chilli with a few extra seeds. In all though a delicious start to our visit. When our food started to arrive the friendly waitress bought us a bottle of hot sauce to share….. it was given to us with a warning that it was HOT. Serving it in a bottle labeled poison was starting to make sense as was the additional heads up on the menu “Don’t fool around with Sam’s Hot Sauce…. it’s hot! Really hot! !” Don’t you worry I wasn’t going to be fooling with this sauce! We then chose two items from the Antojitos section. 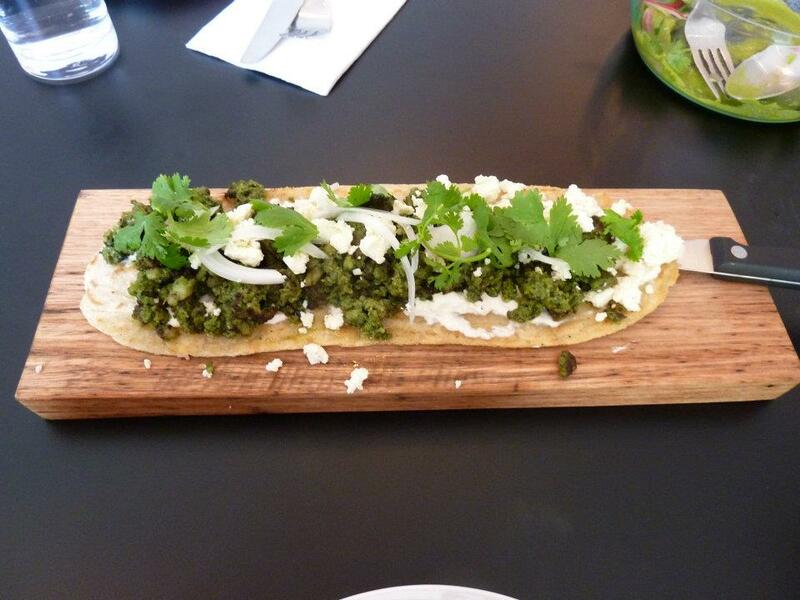 First to arrive was the huarache house green chorizo queso fresco ($16). 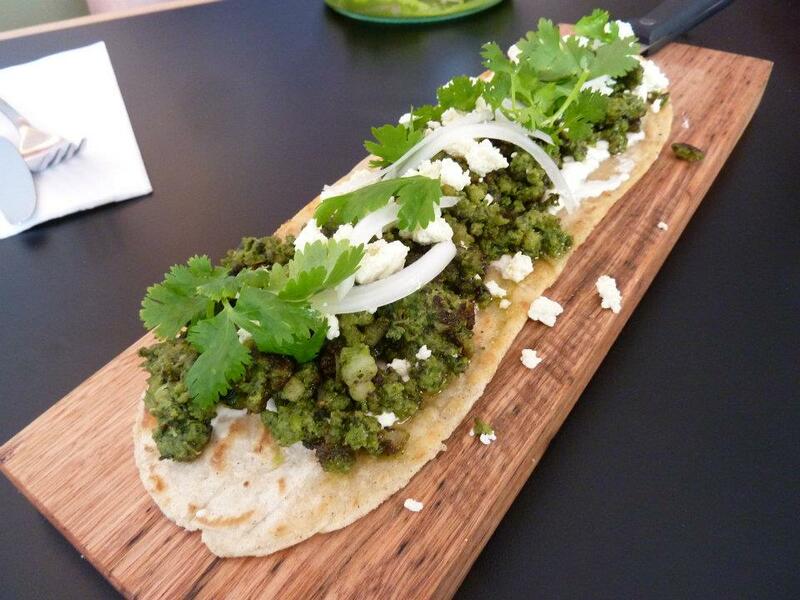 Green chorizo…. definitely something new to me, but it was great! Can be good to colour outside the lines 🙂 The base of this dish too was wonderfully crisp with a corny flavour. I really enjoyed this and on the heat front it was a lot milder than our round one….. for which I was appreciative. 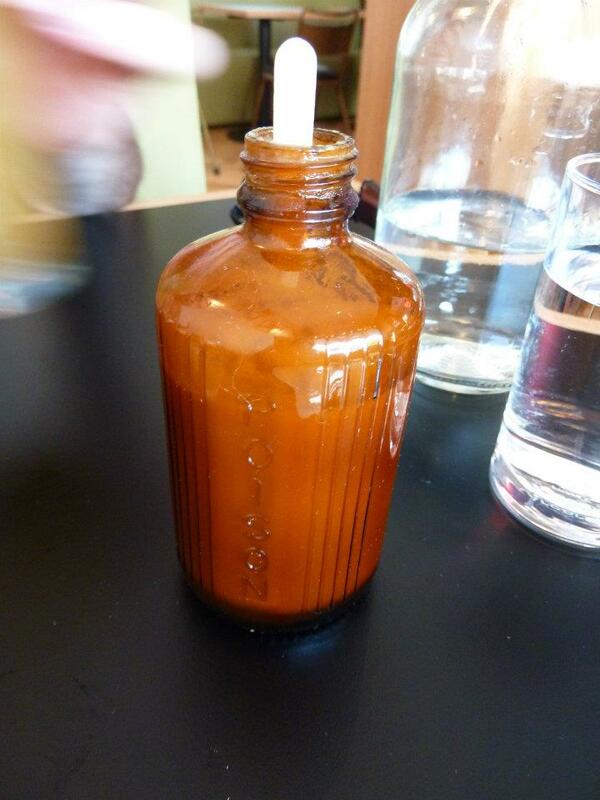 Having said that though, this was when GG launched into the hot sauce, which he was a fan of. Added a nice warmth to it he thought. I tried about 1 drop…… but for me the red chilli did more damage, the hot sauce drop sort of just blended in with the chorizo and coriander tastes….. perhaps i’ll be slightly braver with it next time and splash a bit more on. Next came the chilaquiles organic chicken morita crema ($16). Again I had to refer to the back page for further explanation…. 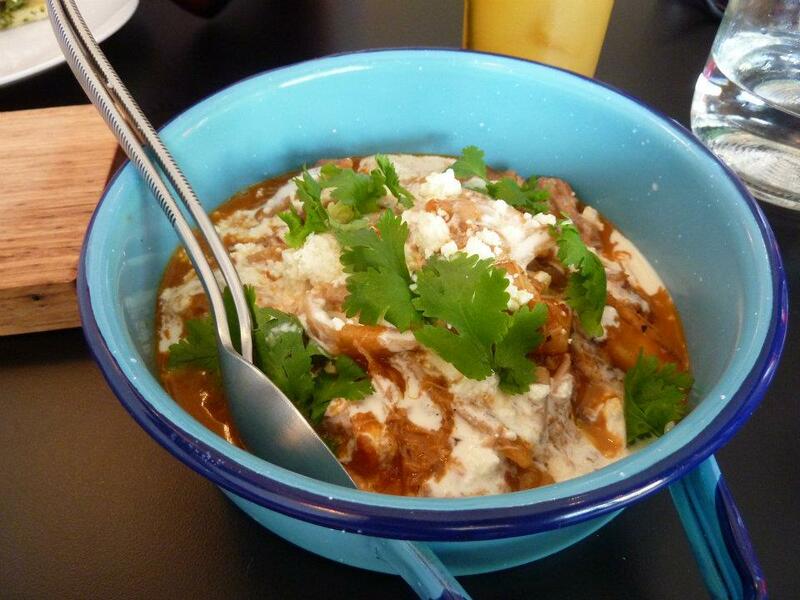 chilaquiles was a wet dish made from torn tortillas with red salsa and cheese. It sounded interesting and despite knowing what it was, I was still a little surprised when it arrived. I loved the dish they served it in! 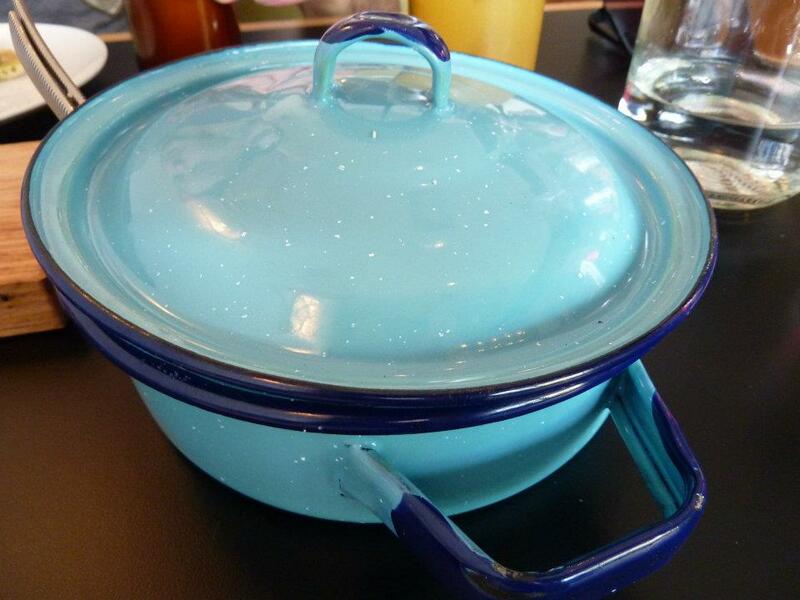 Nothing like a little tin casserole dish – precious! 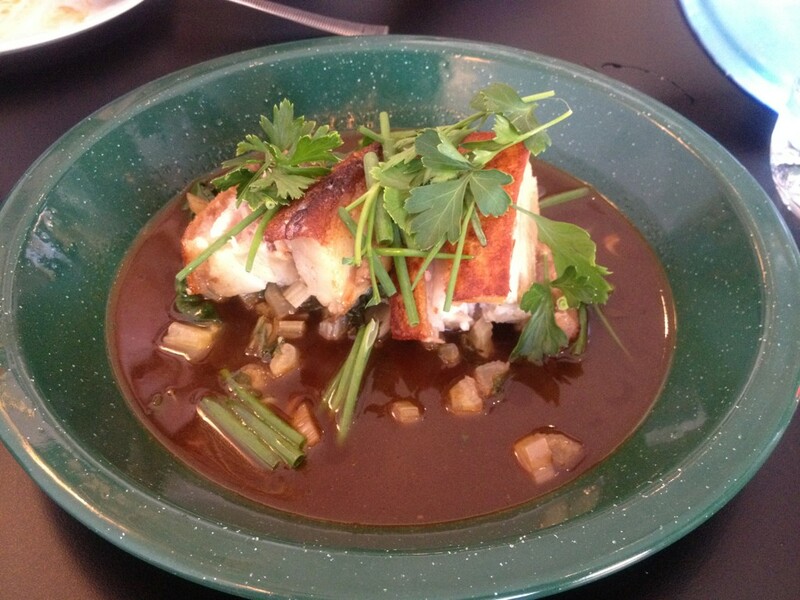 And finally from the Grande Placa, the slow cooked pork belly pilocilo chili oaxacan chocolate ($24) got our vote. 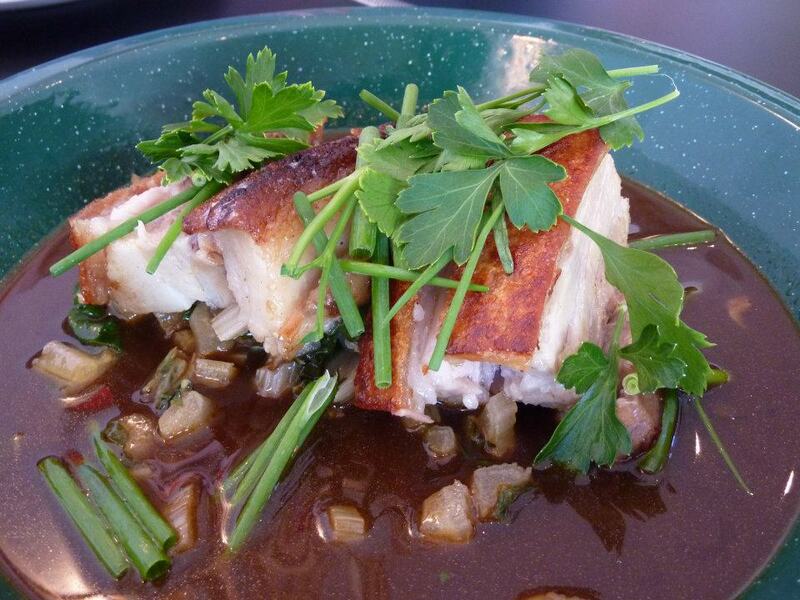 Hard to go past pork belly and it did look lovely when it came out…. again in a tin plate – loved it! There were four slices of pork so we split the serve between us – two each. The pork was delicious and had the most fabulous, crisy top to it! The only slight disappointment to this dish was that one of GG’s pieces of pork didn’t have any meat on it. So that was a shame. But I split my second piece with him, so was all ok. Pork belly done well is always a delight and they know how to do it here. I had wondered whether there was going to be room for dessert, but hey its me, there’s always room for something sweet! We asked our waitress what she would recommend for something on the lighter side and she suggested the cajeta flan banana peanut butter ice cream ($14). I wasn’t entirely sure whether I would be a fan of this dish as bananas aren’t my favourite fruit, but there was something elegant and delicate about the banana flavour throughout this flan. It was wonderful. 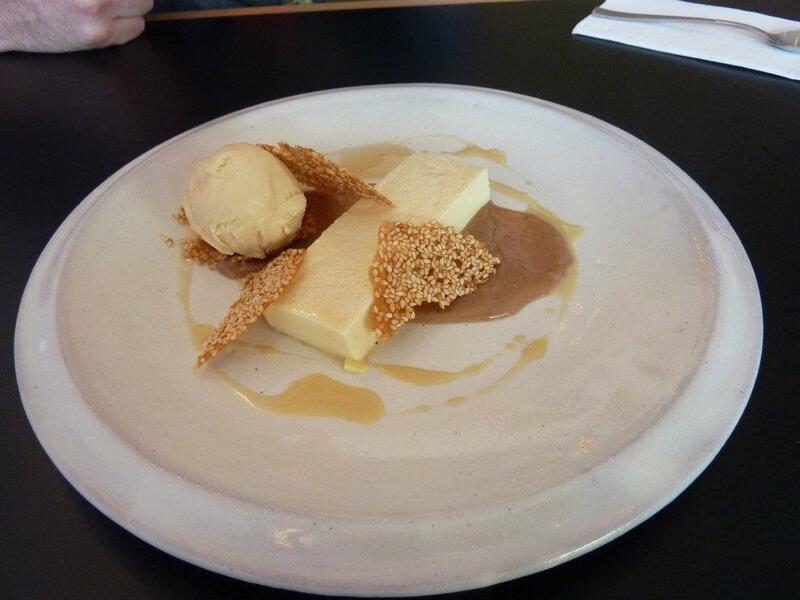 With some of the flan on the spoon with a little of the peanut butter icecream and a shard of the sesame tuille on top – it was a tasty mouthful and the flavours worked so well together. Really interesting dessert. 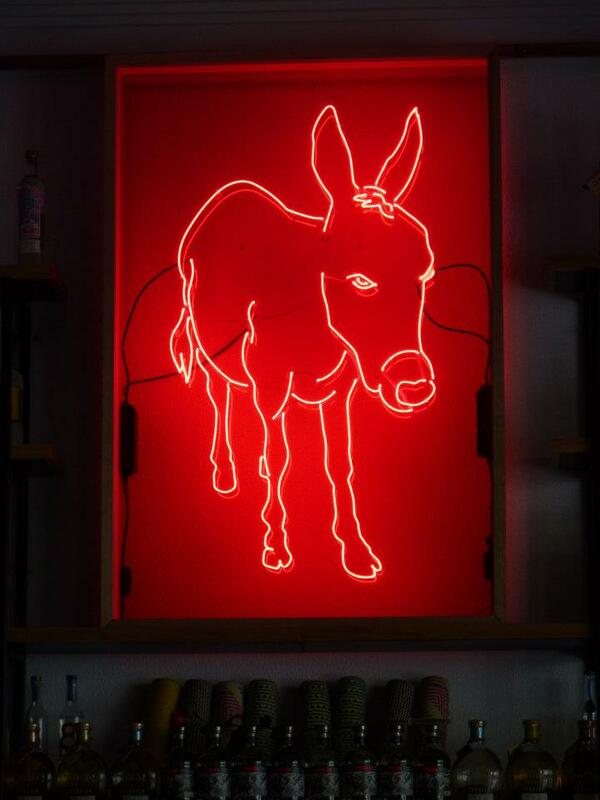 So first visit to El Publico….. what had we thought? Well it might have been their first week on the job, but there were no issues from where we sat in terms of early day teething problems. Staff had all been so friendly and really attentive and then there was the food. What I had liked most about it was that it all tasted so much more authentic than visits to other Mexican restaurants I have been to in Perth. 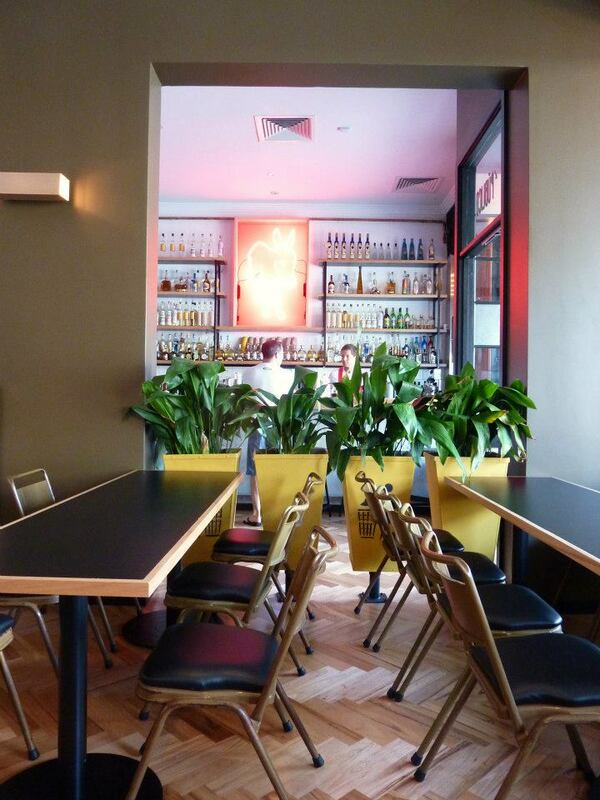 And don’t get me wrong, the more tex-mex approach does have its place, but for a real salute to the more traditional with a whole lot of modern flair then head along to El Publico for a bite. Really hope this takes off but e had 10 of us go out on Monday night to try this out but it wasn’t open and the add in the paper said it was open 7 days a week.. Needles to say we were dissapointed…… please make sure you post your times or I think you will find people won’t come back. There are so many choices out there that I’m totally overwhelmed .. Any tips? Thanks! Thanks for ones marvelous posting! I actually enjoyed reading it, you’re a great author. I will always bookmark your blog and may come back down the road. I want to encourage that you continue your great posts, have a nice afternoon! else know such distinctive approximately my difficulty. I needed to thank you for this good read! writing? I’ve a presentation next week, and I am on the search for such information.